Poly-γ-glutamic acid (γ-PGA) is an extracellularly produced biodegradable polymer, which has been widely used as agricultural fertilizer, mineral fortifier, cosmetic moisturizer, and drug carrier. 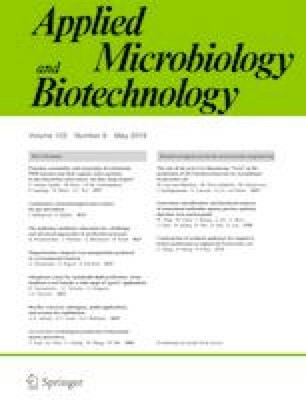 This study firstly discovered that lichenysin, as a biosurfactant, showed the capability to enhance γ-PGA production in Bacillus licheniformis. The exogenous addition of lichenysin improved the γ-PGA yield up to 17.9% and 21.9%, respectively, in the native strain B. licheniformis WX-02 and the lichenysin-deficient strain B. licheniformis WX02-ΔlchAC. The capability of intracellular biosynthesis of lichenysin was positively correlated with γ-PGA production. The yield of γ-PGA increased by 25.1% in the lichenysin-enhanced strain B. licheniformis WX02-Psrflch and decreased by 12.2% in the lichenysin-deficient strain WX02-ΔlchAC. Analysis of key enzyme activities and gene expression in the TCA cycle, precursor glutamate synthesis, and γ-PGA synthesis pathway revealed that the existence of lichenysin led to increased γ-PGA via shifting the carbon flux in the TCA cycle towards glutamate and γ-PGA biosynthetic pathways, minimizing by-product formation, and facilitating the uptake of extracellular substrates and the polymerization of glutamate to γ-PGA. Insight into the mechanisms of enhanced production of γ-PGA by lichenysin would define the essential parameters involved in γ-PGA biosynthesis and provide the basis for large-scale production of γ-PGA. Yimin Qiu and Qin Wang contributed equally to this work. Funding for this project has been provided by the National Natural Science Foundation of China (Grant No: 31500074), the National Program on Key Basic Research Project (973 Program, No. 2015CB150505), and the Technical Innovation Special Fund of Hubei Province (No. 2018ACA149). The funding body had no role in the design of the study, nor in the collection, analysis, or interpretation of data.